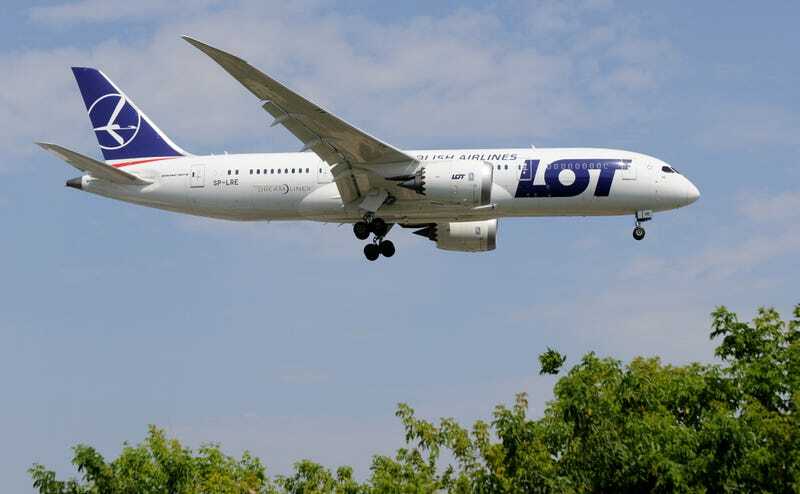 A cyberattack on Polish airline LOT left ten flights canceled this Sunday, stranding around 1,400 people at Warsaw’s Chopin airport. The attack hit the airline’s ground computer system, which is used to make flight plans. The hackers didn’t break into the IT on the planes, but this incident makes it even more obvious that the air travel industry needs to be vigilant about cybersecurity. Earlier this year, security researcher Chris Roberts reportedly commandeered an airplane to demonstrate how crappy United’s security setup is. “We’re using state-of-the-art computer systems, so this could potentially be a threat to others in the industry,” spokesman Adrian Kubicki told Reuters. If you weren’t able to get a Xanax prescription for travel-related anxiety, try printing this blog post out and thrusting it into a doctor’s face while sobbing.